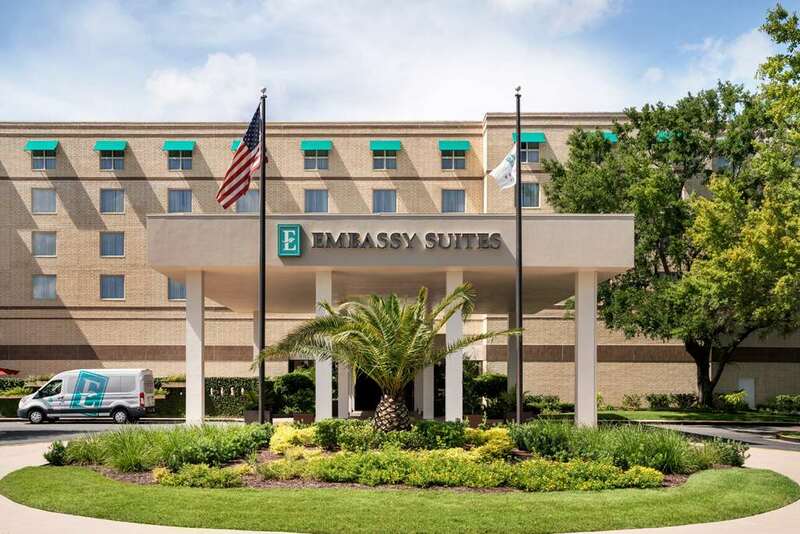 This hotel is 100 pct non-smoking Welcome to the Embassy Suites Hotel Brunswick the very best in Brunswick hotels. This all-suite hotel is 2 miles from I-95 along Georgia*s Colonial Coast nestled between Savannah Georgia and Jacksonville Florida. Our Brunswick hotel is connected to the Glynn Place Mall and minutes from many Georgia attractions including the beaches and history of Georgia*s Golden Isles St. Simons and Jekyll Island. Enjoy our proximity to the Emerald Princess Casino Cruise. Key business locations nearby include the Federal Law Enforcement Training Center /FLETC/ College of Coastal Georgia Georgia Pacific and the Southeast Georgia Health System. Complimentary shuttle to the Brunswick-Golden Isles Airport is provided 7am 11pm. Our hotel offers 130 two-room suites equipped with mini-refrigerators microwaves and all of the comforts of home. Guests receive complimentary made-to-order breakfast daily and a nightly evening reception with beverages and snacks. Internet access is available /fees apply/ and is complimentary for Hilton Honors members. Embassy Suites Hotel Brunswick has everything you need for the perfect Georgia vacation. Book directly at embassysuites.com for the Best Rate Guaranteed with no booking fees. In-Room Dining: Enjoy In-Room Dining at the Embassy Suites Brunswick provided by E*terie Bar - Grill. Barbara Jean*s Restaurant: Great local seafood and homestyle vegetable options. Famous for their crab cakes and she crab soup.